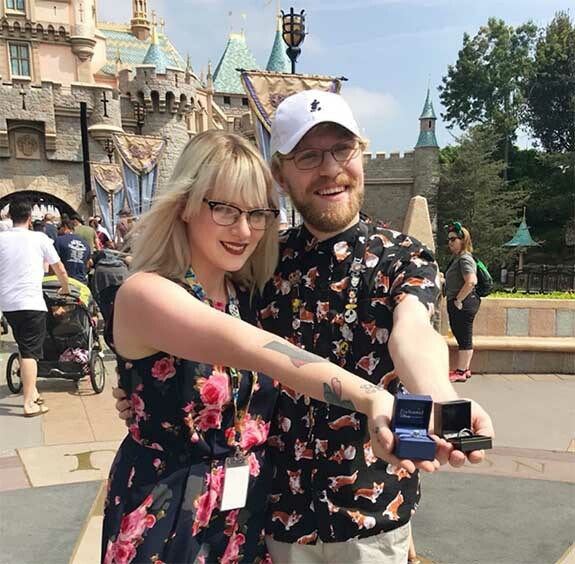 Jesse Tober and Kasey Donovan starred in their own fairytale last Monday when they popped the question simultaneously in front of Sleeping Beauty’s Castle at Disneyland in California. 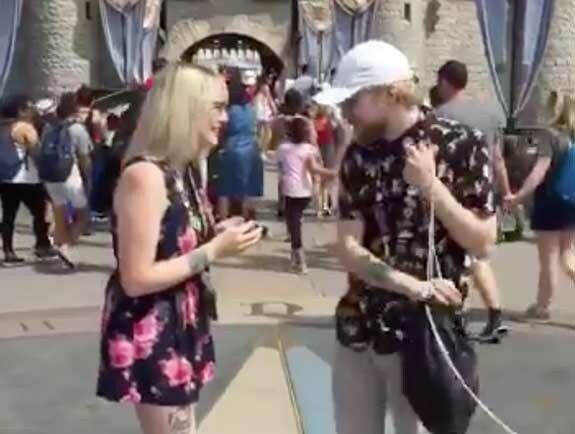 The video of the spontaneous double proposal made them Twittersphere sensations and affirmed, once again, that a Disney Park is not only “the happiest place on Earth,” but also the most romantic. 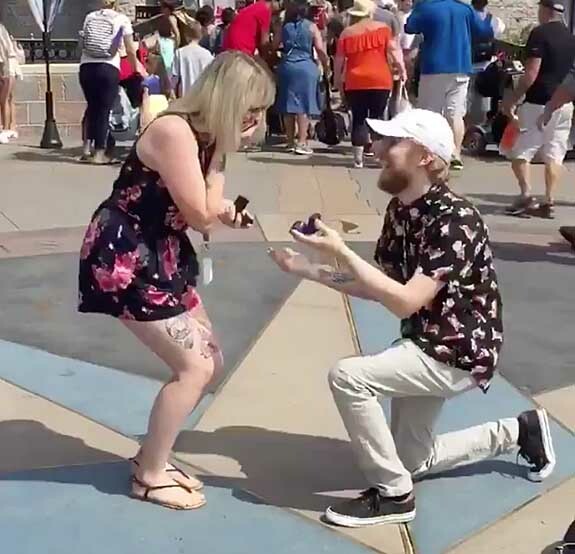 But then we see it’s a ring box, which she opens and presents to her boyfriend. Donovan continues to look straight at the camera, but then turns toward his girlfriend, stares down at the ring and laughs. 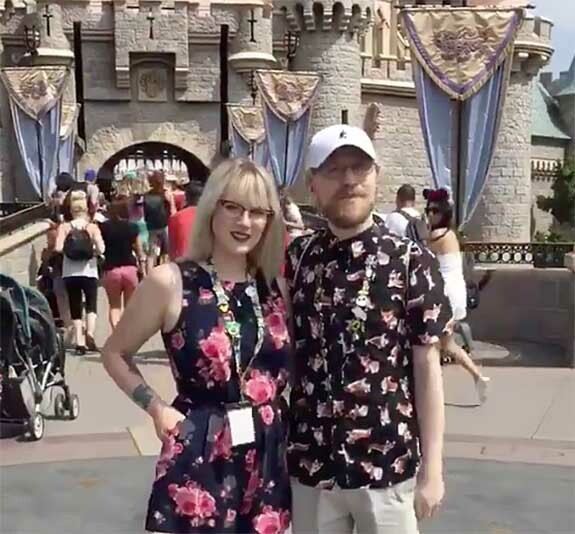 Tober told Cosmopolitan.com that she had picked out a ring “forever ago” and had been planning the proposal for three months. 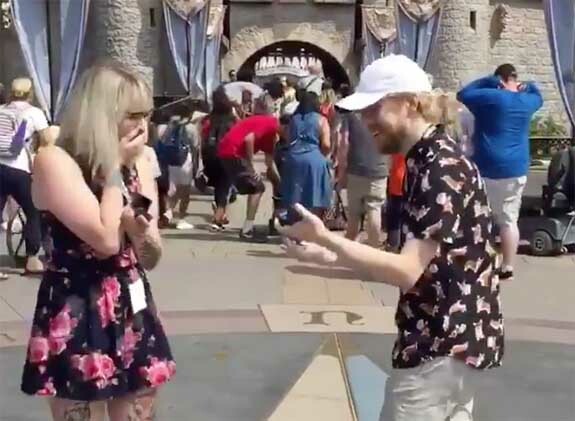 Donovan, 24, had been working on his proposal for more than a month, but picked out the ring a week prior to their Disney trip.